The folks behind Linus had an idea about a decade ago, and it wasn’t too bad of an idea. The idea was that bicycles had become too complicated, too expensive, and too overburdened with gadgetry and logos and technology that only seemed to lead to planned obsolescence and, ultimately, a premature trip to the junkyard. Even the good old companies, they reasoned, had strayed from first principles, and even the good old companies were, more often than not, making rather crummy bicycles. But what to do with this idea? Fortunately for us, they set out to make some pretty simple, pretty good bicycles. 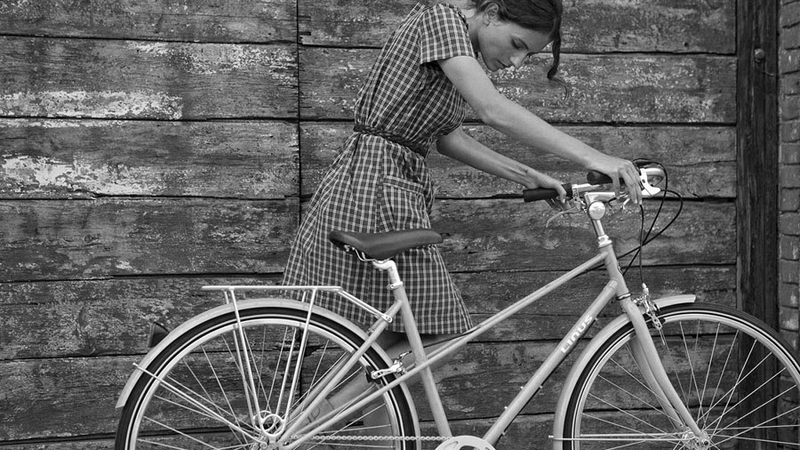 They made a Roadster and they made a Dutch-styled bicycle, and later, they made a Mixte. These are classic forms of practical bicycles that are each nearly a century old. They married these classic forms to light weight, easy to maintain componentry and painted them in a handful of colors that wouldn’t look out of place next to one’s favorite midcentury modern sofa. Since then, they’ve branched out here and there. They’ve designed some children’s bikes, which are pretty nice. They’ve designed some luggage and some other odds and ends. But mostly, they’ve stuck to building these nearly perfect bicycles. Most folks should opt for the three speed variants. Here in Chicago, three speeds will get you to the grocery store, or to Doc Films. Three speeds will get you to the Loop, or over to Pilsen, or if you are feeling particularly genki, three speeds will take you to Wolf Lake, or Evanston, or pretty much anywhere your legs would like to take you. These bikes cost about six hundred dollars. For six hundred dollars, you’ll get a lovely looking bicycle which will not embarrass you. It will be highly reliable, and very safe and very easy to ride. It will have fenders, so that you can wear nice clothes if you’d like. You’ll be able to ride in the winter, under a warm and fluffy coat, as you hear the sound of snow crunching beneath your tires. You’ll be able to carry piles of books, or canned goods, or small children, or a fish tank on the strong rack over your rear wheel. For six hundred dollars, you’ll save six hundred minutes, AT LEAST, every year. You’ll say GOOD BYE over crowded shuttle, GOOD BYE twenty minute walk to class, GOOD BYE wobbly and unreliable previous bike. For six hundred dollars, you may even enjoy six hundred weeks of carefree use out of your Linus. Or if you don’t, future users will, because your Linus is built to last much longer than six hundred weeks. Should six hundred dollars prove to be a bit too dear, then you may be in luck. Because the Roadster and the Dutchi (but sadly, not the Mixte) are available without the rear rack, and without the gears. If you are fine with a basic single speed bicycle, and many Chicagoans are perfectly happy pedaling along on one gear, you’ll be able to take one home for under four hundred dollars. So do pop in to try out a Linus. If you decide to take one home, know that every new Linus includes a FIVE YEAR warranty as well as a ONE YEAR service subscription here at Tamago. Single speed coaster brake, no fenders or rack. Black, matte white, matte slate. Three speed with hand brakes. Includes fenders and rear rack. Black, matte white, olive. Eight speed with hand brakes. Includes fenders and rear rack. Grey, racing green. Single speed coaster brake, includes fenders but no rack. Matte cyan, cream, black. Three speed with hand brakes. Includes fenders and rear rack. Orange red, marine, cream, coral, canary, black, scarlet red, sage, matte cyan, matte pink, turquoise. Eight speed with hand brakes. Includes fenders and rear rack. Cream, sage, black. Three speed with hand brakes. Includes fenders and rear rack. Sky blue, midnight blue, black, teal, cream, white. Eight speed with hand brakes. Includes fenders and rear rack. White, sage.